It is with great sadness that we have to report the sudden death of Charles Newson (at WCS 1954 - 1960) on 13th November following heart failure. 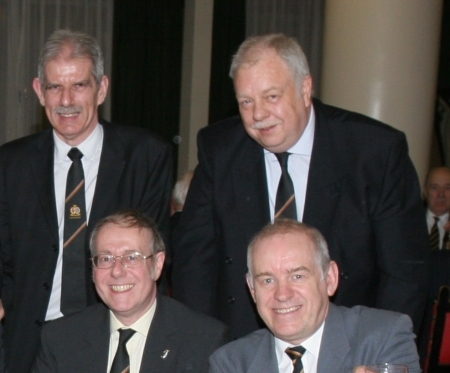 Charlie was well known to many members of the association having played across three decades for OWCFC and was a regular attendee at the reunion dinners. He was just 68 years old. The funeral service took place at St. George's Church, Beckenham at 11:30am on Monday 13th December followed by a wake at the Royal Bank of Scotland Pavilion. Tragically another sterling member of OWCA and OWCFC died on 18th November. 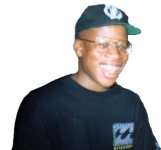 Tunji Kasunmu who was in his late 30s, was 1st team OWCFC manager who are currently unbeaten this season. Andy Wallace tells us that Tunji had been very ill but amazingly left the hospice every Saturday to be on the touchline. He was a student at WCS in the 1980s. 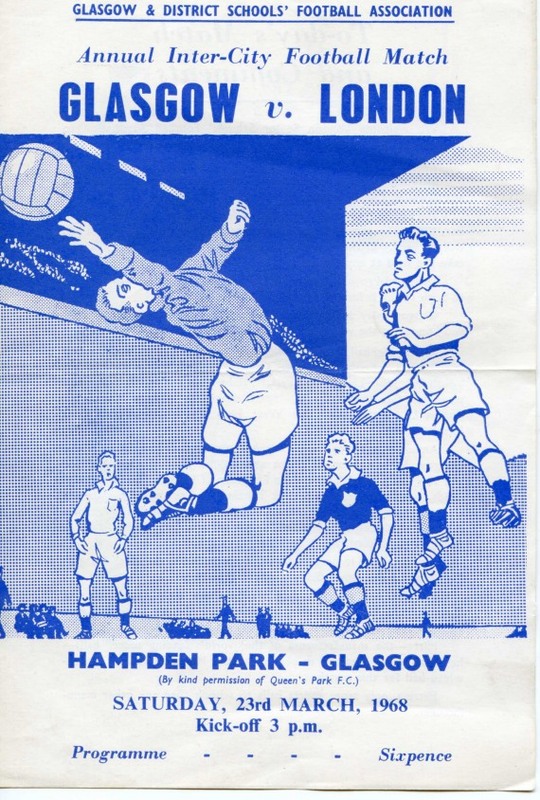 Some while ago we featured the programme from a schoolboy international due to be played at the famous Hampden Park, Glasgow in 1968, between sides from London and Glasgow. (Please scroll down to view the item in the archive.) 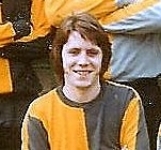 Uniquely three footballers from WCS were picked to play: Goalkeeper Barry Mitchell; Centre half Ian Savage and Striker Tom McCardle. Unfortunately we couldn't give the result. All three 'lads' now live abroad, Barry and Ian in Australia and Tom in USA. However. Barry has now contacted us and we reproduce his message below:-. 'I was reading the OWCA site recently and saw that you'd included the programme for the London Schools v Glasgow Schools game back in 1968, where Ian Savage, Tom McCardle and I played for London. That was actually quite an interesting weekend. First of all, it p****d down for days before the game and Hamden Park was completely waterlogged and we never did play there. (I'm still gobsmacked). We finally played the game on a converted rugby pitch somewhere in Scotland - God knows where. Although I didn't know it, my Dad and Uncle were driving up from London to watch the game and somehow they managed to find out where it was being played. It poured down the entire game and the pitch was a mud bath. The result was a 2-2 draw, no thanks to me, having given away a penalty, which I then saved!! No doubt I would have been sent off these days as he certainly wasn't going to get past me! Another amusing aspect was the "See you, Jimmy" comedians on the sidelines. Was one of them Billy Connolly? 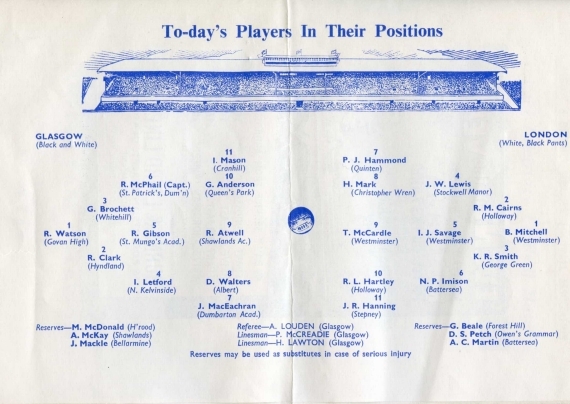 Tom McCardle, a striker, was (and presumably still is) a big strong 6' 3" lad and the Jimmies were having a go at him making cracks like "Och, yon big laddie. You'll no' be so big when we get ya doon the Gorbels". 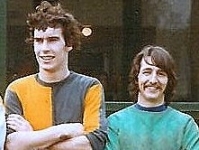 Ian, Tom and Barry in their playing days for OWCFC - 1973. 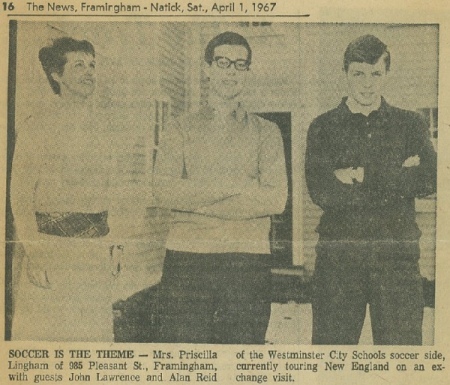 Don Spencer taught Woodwork and technical studies at WCS from 1959 to the mid '60s. He then rejoined WCS for a short period in the 1970s. After senior teaching spells in Malta and Fiji he now lives in New Zealand. In September 2010 he made a vist to UK via Los Angeles to meet up with relatives and friends around the country. Through the web site he contacted Chris Hare having bought his OWCA Centenary book. It resulted in four OWCs at school in the 1960s meeting Don on 18th September 2010 at the Victory Services Club in Marble Arch where he was staying. They were Bob Blanchett, Angus Litster, Chris Hare and John Lawrence. Don was L3R form master for Bob, Angus and Chris's first year at WCS in 1961. John was also one of Don's pupils although still owes him a holiday model! A hugely enjoyable afternoon was spent in Don's company. Don's unique reminiceses are posted in the Forum section under Memories of OWCs. Don is 76 years young, fit and well and still holds a pilot's licence! Below are pictures of Don Spencer along with Bob Blanchett, Angus Litster & Chris Hare from the L3R 1961 line up. 43 years on......John Lawrence (60-67) and Alan Reid (61-68) at the OWCA Reunion Dinner. Also in the picture John Douglass ( 63-70) top left and Steve Leach ( 64-71) bottom right. BROOKS WAS A SPY - OFFICIAL! 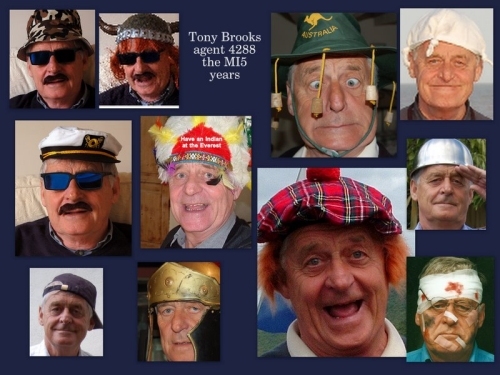 It has been revealed that OWCFC legend Tony Brooks was actually a spy for MI5. Details have recently been released and below are some of the many disguises he used. 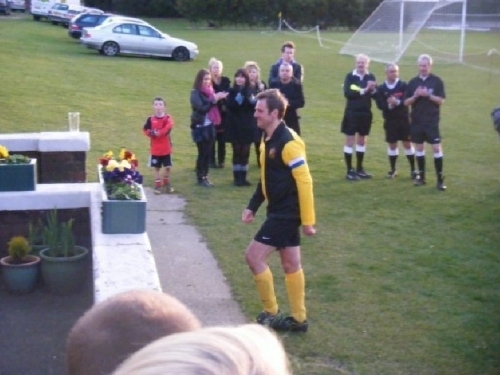 Andy Wallace collects the Old Boy's Cup on behalf of the victorious 5th Eleven in 2009. 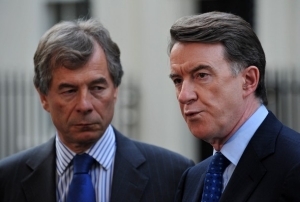 This is just one of many pictures on the new site for Old Westminster Citizens' Football Club. Go to www.owcfc.org.uk to learn more. Martin Broughton (OWC 1958 – 1965) has recently been appointed Chairman of Liverpool Football Club. From this news picture, we wonder whether he is trying to sign a left winger who recently became available. Martin has the monumental task of re-organising Liverpool’s complex finances, plus finding a buyer for the club. Many old boys who are Fulham supporters hope Martin, who is a Chelsea fan, won’t pinch our brilliant Manager, Roy Hodgson! We are able to reveal that Martin’s tremendous achievements and skills in the world of high finance are sadly not matched with his past football playing ability, judging by this report which appeared in the OWCFC circular dated 21st December 1970. 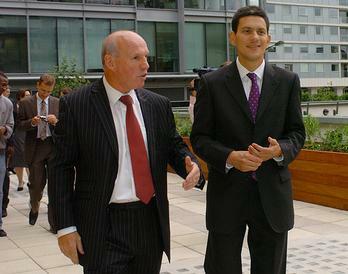 This was Martin’s last appearance for the Old Boys before he departed London for Southampton. From reports for matches played Sat 19th December 1970. Our failure to draw or even win this match was entirely the result of diabolical individual errors. We went in front early on when Smith scored after he had followed up a Mclean cross and hustled the keeper into dropping the ball. Ibis soon equalised with a volley from a centre which the defence should have cut out. In the second half we were never really able to match Ibis in midfield, but despite that were doing enough to gain at least a point. Then came the disasters! First Rowland failed to clear and the ball was put home from a goalmouth scramble. Then Rowland (AGAIN) made a bad back pass and a forward nipped in to score. Then Broughton failed to pass back and their fourth goal entered our net. All in all, a clear case of individuals letting down what could have been a useful performance. Skinner, Routledge, Broughton, Rowland, Reid, Mclean, Head, Wylde, Stovold, Smith, Helps. 2nd XI v Crouch End Vamps (SAL) Won 3-2 Scorers: Eyles, Beswick, Ruddy. 5th Xl v Borough Poly Colts (Friendly) Won 3-1 Scorers: Black 2 o.g. 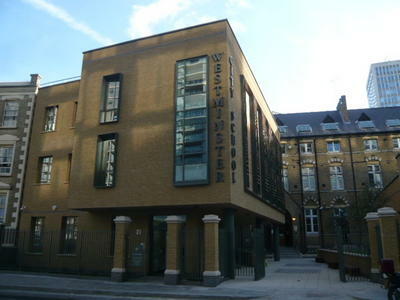 6th Xl v City of London College (Friendly) Lost 3-4 Scorers: Mahoney 2, Thompson. Over 150 Old Boys, past and current Teachers, students and guests attended the 102nd Reunion Dinner on Friday 26th March 2010. This was the first dinner to be held back at the School following two years of building work and enjoyed a record attendance. Thanks go to the organising Committee of OWCA Chairman Bob Blanchett, Barry King, Ian Milne and Chris Hare. The vast majority of the attendees took advantage of David Maloney’s kind offer to organise tours of the new facilities prior to the pre dinner drinks. Excellent food, banter, copious amounts of nostalgia and the odd drink was enjoyed by all. Attendees with past pupil’s years at WCS are listed below. John Abbott (1944-1951); Arthur ‘Archie’ Allen (39-45); Peter Allen (43-47); Phil Anderson; Remy Aquilina; Michael Attfield (51-56); David Bailin (49-56); Errol Baker (51-58); Pip Bannister (49-56); Simon Barber (79-86); Bill Benbow (65-70); Graham Bessant (58-65); Simon Bishop (79-86); Roy Blackwell (Guest); Bob Blanchett (61-66); Colin Bowen (46-53); Helen Brooks (Chair of Govenors); Leo Brooks; Nick Brown (79-86); Rob Bryant (53-59); Dennis Buisson (43-51); Norman Bunton (39-46); Gavin Burridge (79-86); Frank Busby (48-53); Stephen Carville; Tony Charlesworth (65-72); Paul Clarke (67-75); Peter Clarke (47-51); Richard Coles (55-62); Tim Crook (70-76); Dave Dalton (65-72); Roger Dalton; John Daulat (WCS Teacher); Ralph De Bedic Perks (56-63); John Detre; Javid Djalili; John Douglass (63-70); Derek Duchemin (47-52) John Edwards (WCS Teacher); Robert Fahey (55-62); Christopher Farman (48-54); Alfred Frohlich (48-55); David Garwood (48-54); Mick Gee (54-61); Cecil Gittins (42-47); Robert Goodlad (49-54); Peter Gordon (65-72); Arthur Gray (47-53); Brian Halfacre (WCS Teacher); Mike Harbord (71-77); Chris Hare (61-67); Gordon Harley (67-74); Charles Harrison (36-45); Tony Harrison (WCS Teacher); Mike Harwood (54-60); Dennis Hawes (47-54); William Heath (50-57); Jock Henderson (48-55); William Hill (47-54); Robert Hoiles (52-60);Anthony Hoole (43-48); Richard Howland (51-58); Dave Hudson (64-71); Jeremy Hudson (65-72); Stephen Humphrey (63-70); David Jacobs (79-86); Bernie Jacobs (60-67); Jim Jelley (58-66); Charles Jobson (68-75); Steve Johnson (71-77); Graham Johnson; Roger Johnson (66-73); Brian Key (WCS Teacher); Tim Knight; Bob Lacey (55-61); Richard Lacey (65-72); David Laker (55-62); T.J. ‘Jim’ Laker (56-63); R.A. Lamb. (34-44); John Lawrence (60-67); Steve Leach (64-71); Alan Lester (65-70); Valots Liepins (50-57); Angus Litster (61-68); Stephen Lloyd (WCS Teacher); Bill Mahoney (50-57); David Maloney (Current Head Teacher); John Mason (WCS Teacher); Steve Maxworthy; Ian Mayers (67-74); Will McKee (54-61); David McNab; Steve Meredith (79-86); Ian Milne (55-63); Stuart Milne (60-67); Peter Milner (48-53); John Moore (39-44); Ian Moore (57-63); Derek Moore; Tony Norris (49-54); Joseph O’Leary; Michael Page (52-59); David Petit (65-73); David Poole (67-74); Len Pritchard; Len Pullen (52-58); Raj Rao (71-77); Christopher Rayner (50-58); Derek Read (42-48); Neville Redvers-Mutten; Alan Reid (61-67); Simon Roberts; Dave Robey (65-72); Phil Rogers (49-57); Peter Ruddy (52-59); Peter Saunders (WCS Teacher); Richard Shannon (74-77); Mark Shaw-Brookman; Chris Shepherd (54-60); Derek Short (53-59); Simon Smith; Charles Smith (46-52); Gary Smith (65-72); Phil Spalding (69-75); Paul Sparks (72-77); Lance St. Clair (72-80); Frederick Steel (49-56); Jim Stewart (70-77); Steve Tibbles (73-80); Richard Tibbott (59-65); Chris Tibbott (60-66); Paul Tirebuck; Andrew Tugby (79-86); Dave Tyler (55-62); Dr. Mark Upton (67-74); Alek Vilcinskas (49-57); Colin Walker (41-47); Andy Wallace (70-77); Max Whatmore; David White; John Williams (70-77); Stan Williams (43-48); Alex Williamson (79-86); Doug Wordingham (48-53); Robert Wright (49-56). 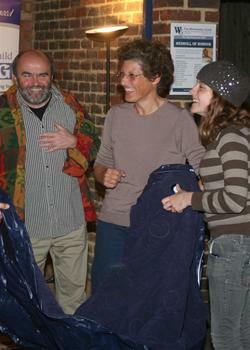 We are sorry to report that Gillian Dent (later Smith/Longley) passed away on 14th December 2009. She was 84. Gillian was the daughter of the much respected John Dent, Headmaster at WCS from 1930 to 1950. 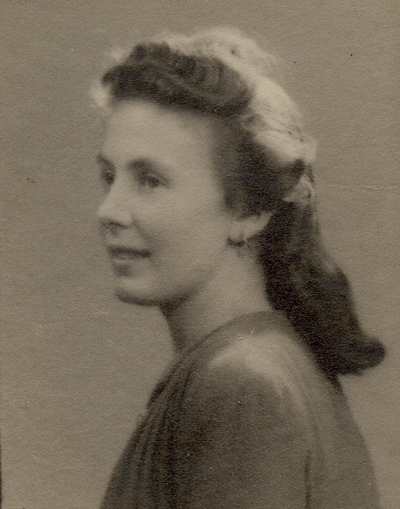 Gillian worked for her father at WCS as School Secretary in the years following the Second World War and is remembered with great affection by the immediate post war generation of pupils. Gillian’s time at WCS is described by one OWC as ‘a much appreciated vision of loveliness in the then totally masculine environment that was WCS! She certainly brightened up those grey post war years.’ At WCS she met Woodwork and Physics Master Frank Smith, whom she married in the early 1950s. They had two children Debbi and Robert but the marriage ended in 1964. Gillian re-sumed work, again as a school secretary in Caterham and soon re-married in the mid 1960s to a mechanic, Ray Longley. In January 1979, when Debbi and Robert had finished their education, Gillian and Ray sold their Surrey house and moved up to Balbar on the Black Isle near Cromarty, Scotland, a place they had grown to love through holidaying in that region. The Island life proved inconvenient with trips to the mainland involving infrequent ferry crossings and within a year they moved on to Toll Cottage in Ardersier, Scotland. This became Gillian's much loved home for the past thirty years during which time she worked for the WRVS and for a medical practice in Inverness. An extraordinary coincidence was that OWC Don Lunn's grandparents lived inToll Cottage during the early part of the last Century. Don was a pupil during the time Gillian was secretary at WCS. Sadly Gillian’s marriage to Ray ended in 2002, but she concentrated on her hobbies which included keeping four dogs and indulging her love of the Highlands and Scottish music. Despite recent failing health, she managed to remain at her beloved Toll Cottage until her death. Her first husband, OWC master Frank Smith, died in 2003 aged 93. 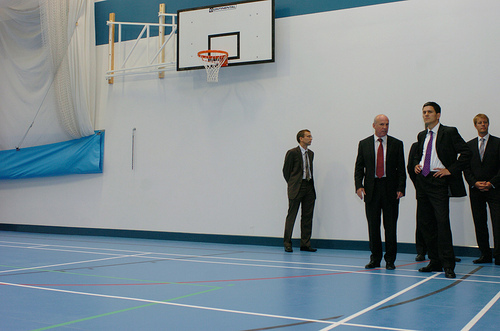 A formal hand over of the building works at WCS took place in October 2009 although there is still ongoing work on site at the school. The new facilities are excellent but some may not like the new look. You can air and discuss your views on the Forum page. Writer and comedian Andy Hamilton OWC (1965 - 71) told jokes and sang in a Wimbledon car park whilst his family camped out. It was all in a good cause raising £2,353 from sponsors for The Wimbledon Guild which gives cash and grants to people in urgent social need. The Guild also does much work for the elderly including running a lunch club and day centre. Bill Mahoney OWC (1950 - 1957) recently reached the big 70 and celebrated with a fancy dress party. 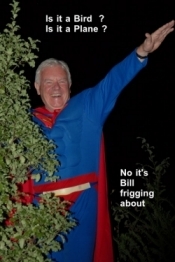 Bill assumed his alter ego of Superman and was pictured trying to take off over a bush by Tony Brooks, who also supplied the picture captions. 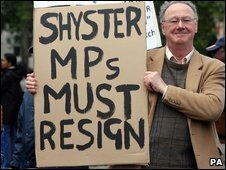 Rob Bryant OWC (1955 - 1959) expresses his outrage at MP's expenses abuse. Rob had hoped to highlight his cause by getting arrested outside Parliament. Unfortunately for Rob, his one man efforts were eclipsed by 1,000 or so Tamil protesters who were also present. However this picture did make the BBC news website and also page seven of the Daily Star. A blow for middle England! Angus Litster OWC (1961 - 1968) in full Van Morrison mode singing Route 66 before over 1,000 spectators at an outdoor festival. His band 'The Cameos' sound great. Go to 'YouTube' and put 'Route 66 Cameos' in the search. All will be revealed! Outgoing President of the CBI Martin Broughton OWC (1958 - 1965) greets Prime Minister Gordon Brown. The Queen steals the scene by walking in front of Chris Hare OWC (1961 - 1967) who was in deep conversation with her Husband. Fortunately Chris didn't trip her up! 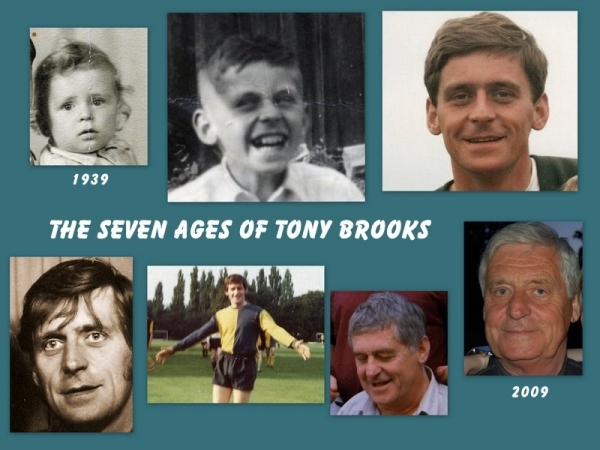 OWCFC Legend Tony Brooks reached 70 recently and a special card was issued by his fans to commemorate the event. Charles Harrison OWC (1938 - 1945) has heard from Peter Symons OWC (1936 - 1944) who lives in Victoria, Australia. Peter has met up with two other Old Boys from that era, Jock Helm and Gordon Setterfield. All three were at WCS during World War 2 and were evacuated to Edenbridge. Unfortunately Gordon has high blood pressure and Jock suffers from gout but it did not stop them enjoying a leisurely lunch and good wine. 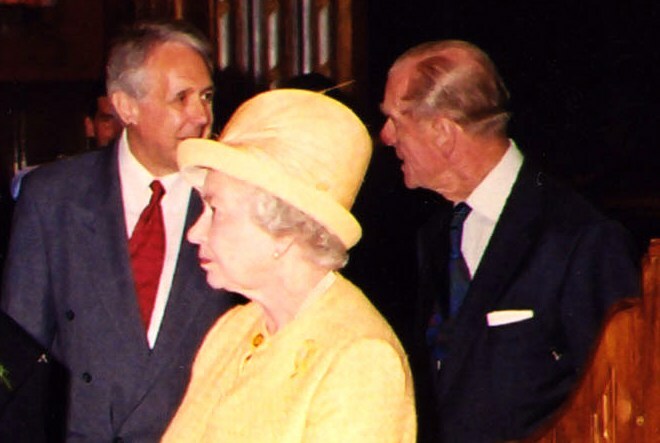 Peter Symons asked Charles to convey their warm regards to fellow OWCs. This news from David S Richards PhD, Professor of Biology at Susquehanna University, Pennsylvania, USA. I happened across the WCS old boys webpage the other day and felt rather nostalgic. 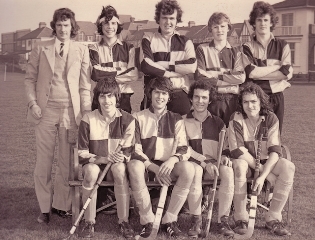 I was a pupil from 1970 to 1977 and played hockey for all seven years, initially under Bob Crittenden and later in the first XI under Brian Halfacre. The photo is of our team at a Fives tournament in South London around 1976. From memory, standing from left to right, Brian Halfacre, Eric Cameron, Andrew Orlowski, Mark Fowler, Philip Barthrop, Seated Paul X, David Wolfe, Remy Aqualina and myself. All of us did our A levels in 77 except for Paul whose last name I forget. Eric is now a radiologist in Michigan- I keep in touch with him quite a lot but I lost track of the rest. After WCS, I went to Stirling for a BSc, Dundee for a MSc and Edinburgh for a PhD before doing research at the University of North Carolina in Chapel Hill for six years. Since 1993, I have been on the faculty at Susquehanna University in Pennsylvania where I teach biology and conduct research in molecular biology. If you have the chance to pass this message onto Brian and Bob, I would be most grateful. I saw that they were both at the recent dinner. Regardless of whether they remember me, I have very fond memories of them, and of all the times I got in trouble with them (all no doubt deserved!) Whenever I am back in London, I usually walk past the old school and have a beer in the Phoenix for old times sake. In the mid 1960's, WCS enjoyed great footballing success under sports master Brian Chubb. Uniquely three boys from WCS enjoyed the honour of being picked to represent London in an inter city match against Glasgow boys, to be played at Hampden Park. They were goalkeeper Barry Mitchell; Centre Half Ian Savage and Striker Tom McCardle. The programme from that game recently came to light and we can reproduce it here. Does anyone out there remember the result? All three lads now live abroad. Ian and Barry in Australia and Tom in Houston, Texas. The 101st Reunion dinner was held on March 27th at the Imperial Hotel, Russell Square. Over 100 Old Boys and guests attended. Another excellent evening, full of good humour, food, friendship and memory evoking conversations. Apparently some alcohol was also drunk. Toasts from Jim Jelley, David Maloney and Norman Bunton, received a humorous response from guest speaker Howard Smith of CUACO, who evoked much laughter. Our special thanks to Bob Blanchett, Chris Hare and Ian Milne for the organisation of the evening. 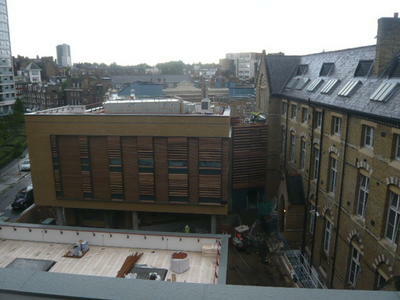 For the next annual reunion in March 2010 we should be able to return to the School – watch this space for details. J. Altman (1964-1971); D. Bailin (49-56); P. Bannister (49-56); W. Benbow (65-70); M. Betts (61-69); R. Blanchett (61-66); C. Bowen (46-52); L. Brooks; A. Brown (63-70); R. Bryant (55-59); N. Bunton (39-46); F. Busby (48-53); P. Clarke (67-75); R. Coles (56-62); E. Corry (76-83); R. Crittenden; D. Dalton (65-72); R. Dalton; J. Daulat (82-96); T. Dawson (68-75); R. Debedic Perks (56-63); J. Douglass (63-70); D. Duchemin (47-52); R. Fahey (56-61); C. Farman (49-54); M. Gee (54-61); P Gibbs (76-82); C Gittins (42-47); R. Goodlad (49-54); Y Goodman; B Halfacre (Teacher 60-99); C. Hare (61-67); C. Harrison (36-45); T. Harrison (85-90); M. Harwood (54-60); D. Hawes (47-54); W. Heath (50-57); J. Henderson (48-55); W. Hill (47-54); S. Horsington; J. Hudson (65-72); S. Humphrey (63-70); J. Jelley (58-66); C. Jobson (68-75); P. Johnson (47-54); R. Johnson (67-74); B. Key (Teacher 64-91); B. King (51-56); S. King ; T.J. Laker (56-63); R. Lamb (36-44); J. Lawrence (60-67); S. Leach (64-71); A. Lester (65-70); A. Litster (61-68); S. Lloyd (Teacher); C. Lynch (68-75); M. Maitland (76-84); D. Maloney (Current Headteacher); P. Martin (51-56); W. McKee (53-60); I. Milne (55-63); R. Nabarro (70-76); T. Norris (49-54); D. Pettit (64-71); T. Chaudry; L. Pullen (52-58); D. Read (42-48); A. Reid (61-68); D. Robey (65-72); D. Rogers; P. Rogers (49-57); S. Roper (54-61); P. Ruddy (52-59); M. Sackett (61-68); P Saunders (Teacher); S. Segal (70-77); C. Shepherd (54-60); D. Short (53-59); R. Short: G. Smith (65-72); R. Short; C. Smith; G. Smith (65-72); H. Smith; P. Solari (50-55); P. Spalding (69-75); J. Stewart (56-63); R. Turley; D. Tyler (56-61); A. Vilcinskas (49-57); G. Vine (67-74); J. Vyse (65-72); C. Walker (42-46); D. White; S. Williams (43-48); P. Wolpe (65-70). 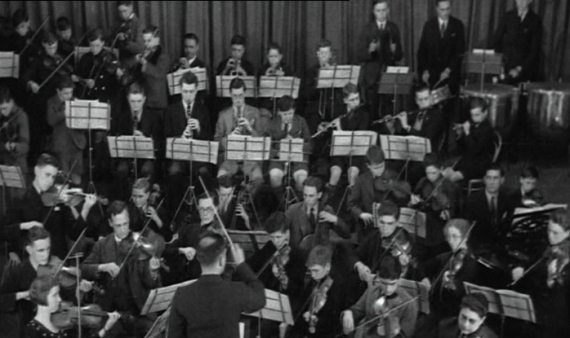 Since its foundation in 1921 by the then Headmaster, Dr Stevens, and with the kind permission of subsequent Heads and with little interruption, the Lodge has continued to hold meetings of its Lodge of Instruction (practice meetings) at the School on Tuesday evenings of each week, during the Autumn and Spring Terms.